Bleachers Brew: We won our second annual Post-Premier Cup All-Star Game! We won our second annual Post-Premier Cup All-Star Game! 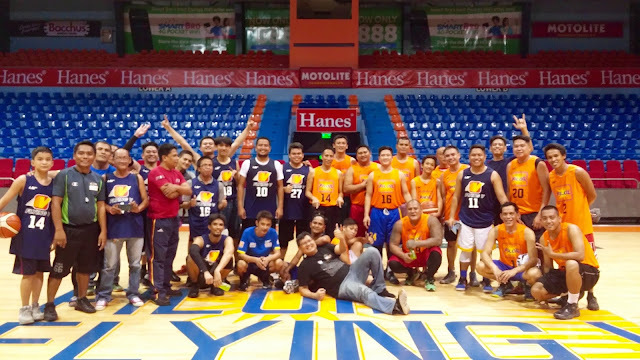 The Media/Tables Officials team defeated the Filoil/Referees/Bouncers/ABS-CBN team for the second time in three years during our annual post Premier Cup basketball game. Jerome Lagunzad hit a triple with five seconds left on the game clock to lift our side to a 84-81 win. The opponent's Bennett Palad missed a triple as time expired. 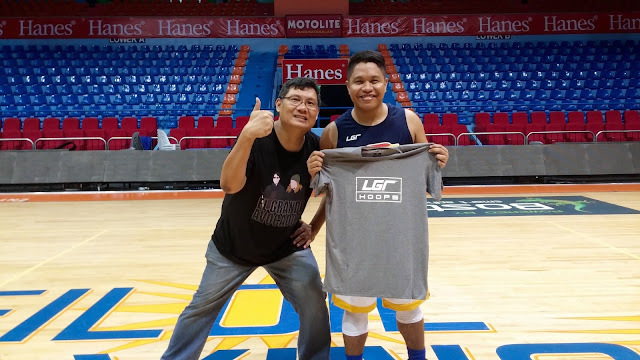 Media colleague Cedelf Tupas was the Game's Best Player! Cedelf hit four triples and along with Lagunzad formed our version of the Splash Island Brothers!